The National Association of the Church of God (NACOG) was officially organized in 1916, having existed as early as 1906 as the “Brothers and Sisters of Love”. The Brothers and Sisters of Love became a Pennsylvania corporation under the name of The Western Pennsylvania Industrial Camp Ground in 1916. 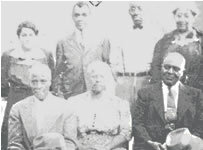 From its earliest existence, without knowing that a doctrinally similar “reformation” had begun in western Michigan, it has been an independent autonomous organization that envisioned the uniting of African-American “immigrants” who were migrating from the South in search of new beginnings and new opportunities. Incredible growth occurred with the influx of men and women from the South and Mid-Atlantic areas. 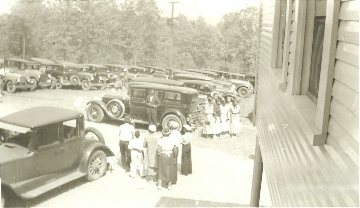 In 1917, The Pennsylvania Industrial Camp Ground changed its name to the National Association of the Church of God. Many of the new southern constituency brought information regarding a wonderful movement called the Reformation Movement of the Church of God headquartered in Anderson, Indiana. Soon after its incorporation, influenced by many ministers migrating to it from the south, the National Association of the Church of God began to affiliate with the Church of God, Anderson, IN. Today, the National Association of the Church of God is an organization of over 420 churches that claim “fellowship.” As an organization, the National Association of the Church of God is an independent, non-profit, ecclesiastical 501(c)3 Corporation, with headquarter offices located in West Middlesex, Pennsylvania. The National Association of the Church of God seeks to be a community that assists and involves all persons regardless of age, ethnic background, creed, educational level, or economic status.